A huge red robot, roughly the size of a double decker bus, crashes through a throng of enemy robots swinging his car-sized fists and smashes them into a thousand pieces. Blue and yellow sparks fly in all directions as the titanic crushing machine batters all who oppose him into nothing more than scrap. As the destruction nears its peak, a second robot, smaller and more agile in appearance dances into view, firing her twin lasers through the crowd of enemies. 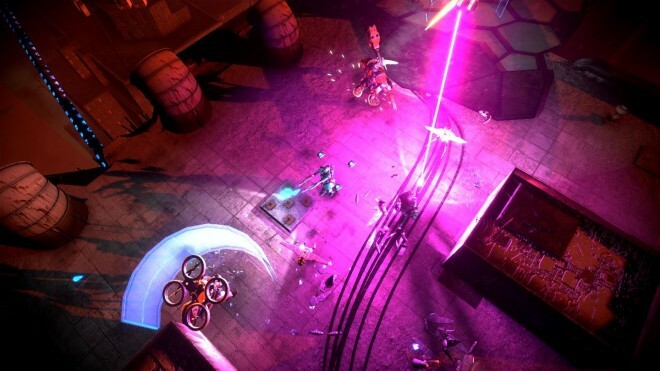 Walls tumble, robots are smashed to pieces and lasers and tracer bullets light up the urban cityscape in Livelock like this almost continuously. It’s a glorious cacophony of heavy weapons and heavier robots. The world as we know it has ended. Humankind has been wiped out by an extraterrestrial gamma ray, but all is not lost. Before its destruction, the human race was able to upload its consciousness to three central intelligence hubs. In Livelock, each player controls one of three Prime Intellects; robot enforcers whose role it is to reawaken the human race and end the war against the corrupted robot AI’s who would prevent that goal. What does this mean for players? 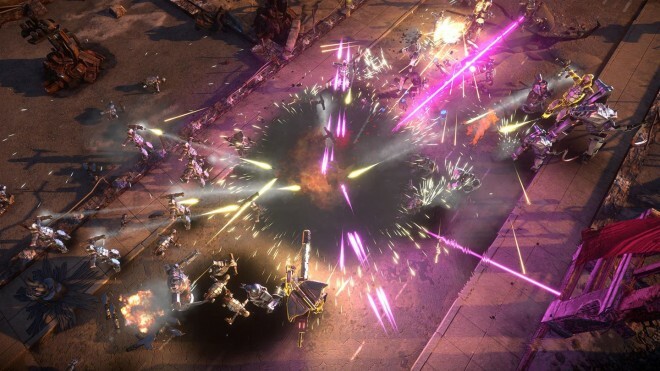 Well, Livelock offers some of the tightest, most gratuitous robot on robot violence I’ve ever seen in a top down, cooperative, twin-stick, RPG-lite kind of way. The storyline may be tenuous, but it’s not half bad. Meanwhile the action is fantastic, especially with friends. Pyrotechnic delight — As far as graphics, sound effects, music and especially particle effects are concerned, Livelock is one of the biggest and most pleasant surprises I’ve experienced on the Xbox One. This game looks fantastic, with big, bold characters and masses of lighting and physics effects, including glorious weapon sparks, laser beams, ammunition shells and lots more. 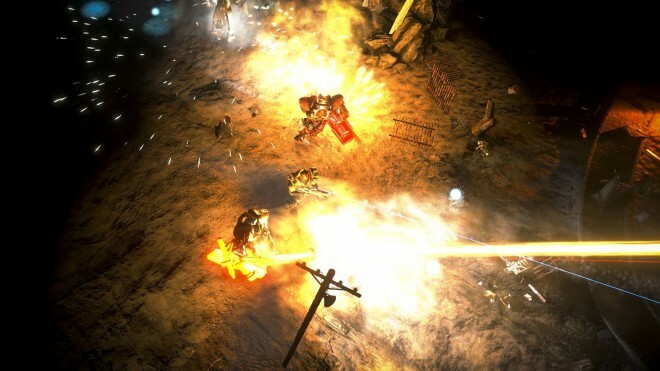 Player controlled robots smash and blast their way through hundreds of enemies using a diverse range of weapons, and the scenery around them crumbles and crashes to the ground in spectacular style. The sound effects are clear and powerful, building in intensity alongside the brutal action, and the music is a surprise hit too, offering unusual quality and variety considering the subject matter. Rise of the triad — Playing like something between a twin stick shooter and a Diablo clone, with distinct Destiny flavouring in the characters, classes and skill trees, Livelock is best played with friends. The game supports up to three players via Xbox Live but oddly has no local multiplayer (despite advertising that it would). There are three character classes that broadly speaking include a melee tank, a ranged damage specialist and a support class. A myriad of unlockable weapons and skills rapidly ensures that no two builds are likely to be the same, so playing online becomes a case of learning the strengths and weaknesses of the current team. Dropping in and out of games is a cinch, and there is effectively a campaign mode and an endless mode to tackle, albeit by another name. Modular Parts — On the subject of character classes and customisation, Livelock may only offer three base classes (or chassis as the game calls them) but with the ability to equip three weapons and three skills each at any time the combinations are endless. It is possible to create highly focused chassis’ for organised team play, or you can configure more balanced builds to stand alone or play with random strangers who might not understand the more nuanced gameplay. Progression is relatively quick, and the unlockables come frequently and feel rewarding enough to bother going after. Once you are satisfied with a build, you can then upgrade each weapon or skill up to five times, creating an even more deadly chassis. Skynet required — I can’t imagine any reason why Livelock wouldn’t support local multiplayer, and the Xbox Live page even advertises that it does, and yet it doesn’t. It’s a real shame because as with all twin stick shooters or action RPGs in the Diablo mold, the fun is amplified considerably with friends in the same room. Whilst this is an unfortunate oversight, games that focus more on long-term progress like Livelock benefit more from consistent online play anyway, so the lack of local multiplayer is not the end of the world on this occasion. Glitch in the system — As I’ve already said, the graphics and effects in Livelock are spectacular, arguably making it one of the best-looking indie titles I’ve played on the Xbox One. Unfortunately, the exceptional effects and the volume of on-screen activity can occasionally overwhelm Microsoft’s hardware, leading to occasional frame rate loss. Again, it’s nothing major because there are much worse looking games that perform at a lower standard all of the time, and never reach the dizzying heights of graphical magnificence that Livelock does. I am in love with Livelock. It is one of the most feature rich and professional independently developed games I’ve ever played, whether on Xbox One or elsewhere. At only $19.99, Livelock is worth every penny, punching well above its weight and contending strongly against a lot of retail titles that offer much less and cost a lot more. 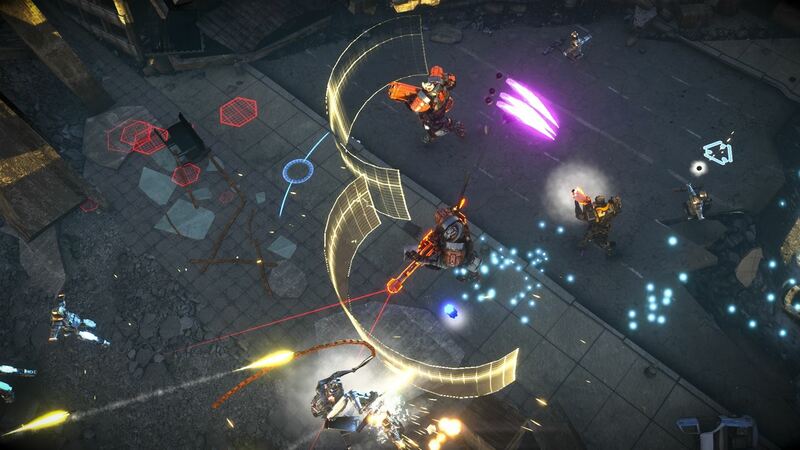 Fans of twin stick shooters can consider Livelock among the best of the genre, but that’s not to say the game is a basic shooter by any means. It is also a competent action RPG, and it competes in the same space as games like Destiny and The Division, allowing players to create focused characters and teams for a consistently enjoyable and equally challenging cooperative player vs. enemy experience. Livelock was developed and published by Perfect World Entertainment on Xbox One. It releases on August 30, 2016 for $19.99. A copy was provided by Perfect World Entertainment for review purposes.